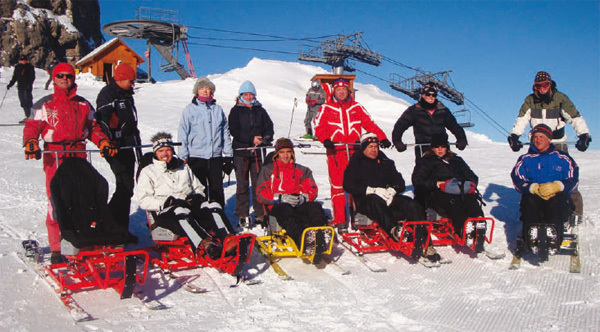 The Handiski scheme, launched by the Alpes-Maritimes Departemental Council, allows the disabled to enjoy this sport in complete safety and comfort at the region's ski resorts. Tandemskis can only be used by professional instructors or specially trained volunteers. This website can be used to view the availability of tandemskis, kartskis and dualskis at the Alpes-Maritimes ski resorts. There is an availability calender so you can book tandems and qualified instructors according to the defined conditions. For people who are not independent (physical, motor and/or mental disability): Tandem ski. For those with a greater or lesser degree of independence (depending on the physical and/or motor disability): lessons available for all ages and levels, only if the person has their own equipment (uniski, dualski, gms...). Lessons for the blind or partially sighted: all ages and levels. - Below-the-knee amputee - skiing or snowboarding with adapted equipment. - Above-the-knee amputee - skiing or snowboarding with stabilisers (without prosthesis). Lessons for the deaf or hard of hearing: all ages and levels. Lessons for the mentally disabled: all ages and levels. Equipment adapted according to the disability: Articulated ski chair, Dual ski, Kart-ski, Trotti-ski (to be booked in advance). 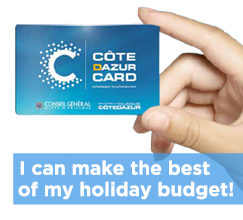 Prices: 1 hour €45, 2 hours €78. Tandem available by reservation and trained instructor to drive the tandem. Seated handiski: €35 for those who are not independent. For those with a greater or lesser degree of independence: lessons available for all ages and levels, only if the person has their own equipment (uniski, dualski, gms).